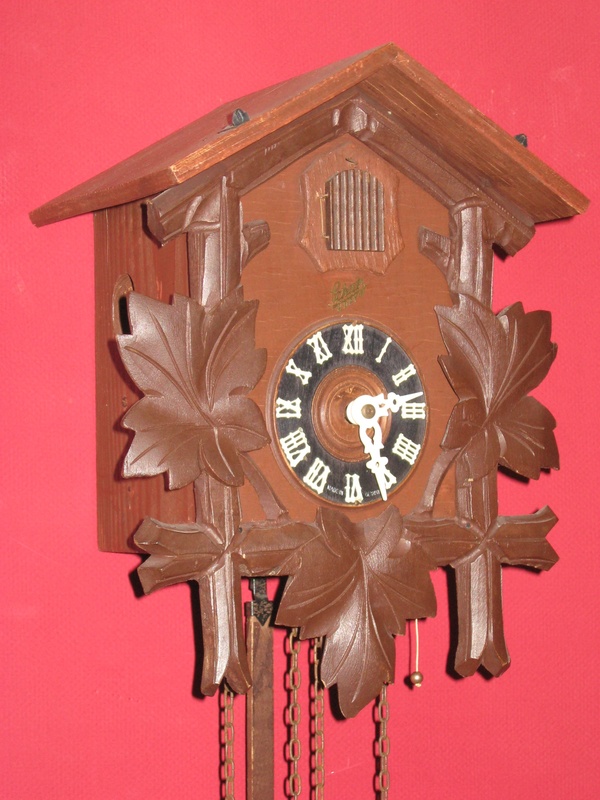 I always enjoy repairing a Schatz cuckoo clock, and here’s a typical maple leaf model I repaired recently. 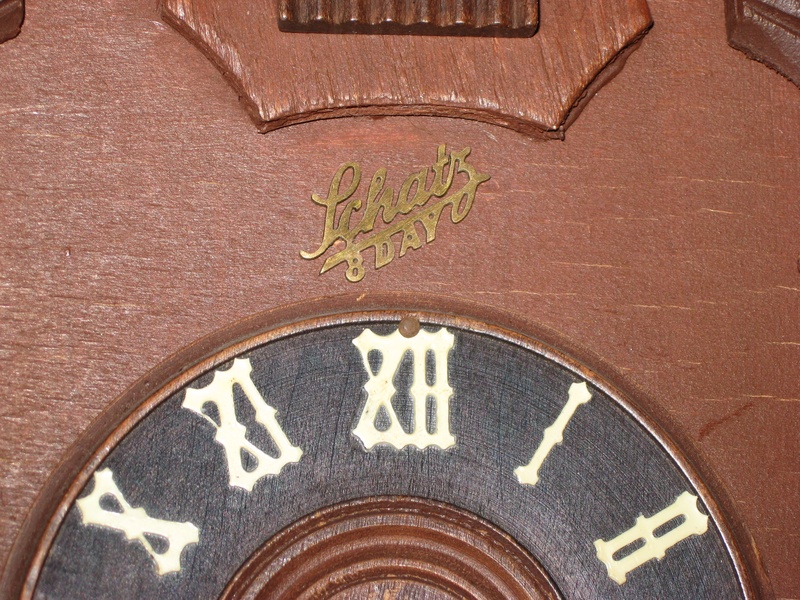 (Note – the top of the clock isn’t shown, as the customer kept it to avoid shipping damage). Repair job 6263. I polished the pivots and installed 17 bushings. Both hands were broken, so I installed new ones and made a hub for the minute hand. 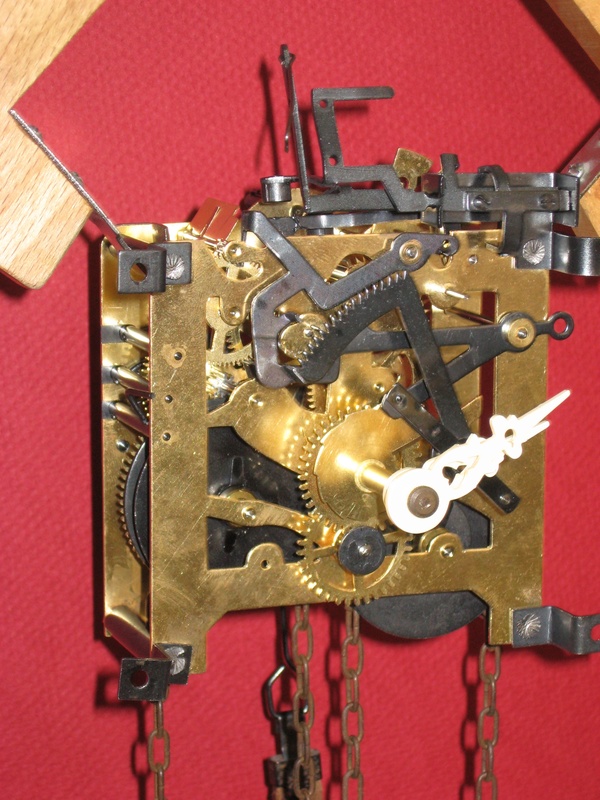 I adjusted the escapement by closing the verge slightly and lowered the verge to make the drops correct.